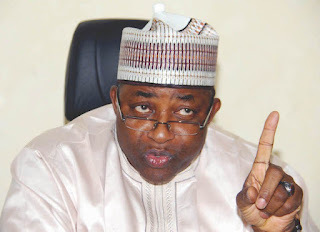 The All Progressive Congress (APC) has filed a petition at Bauchi State election Petition tribunal to challenge the outcome of governorship election won by Senator Bala Abdulkadir Mohammed of the Peoples Democratic Party’s (PDP). The petition was filed by the party on Friday. Speaking shortly after submitting the petition, the state APC Chairman Uba Ahmed Nana said they submitted their petition to seek justice. The petition filed by the APC is the first submitted challenging the governorship election in the state. The tribunal has so far received 30 petitions challenging the winners of Governorship, Senate, House of Representatives and State House of Assembly elections.